According to Spanish outlet Don Balon, FC Barcelona’s center back Gerard Piqué will be retiring from his duties on the Spanish national team following the 2018 World Cup and is considering making the jump to Major League Soccer. 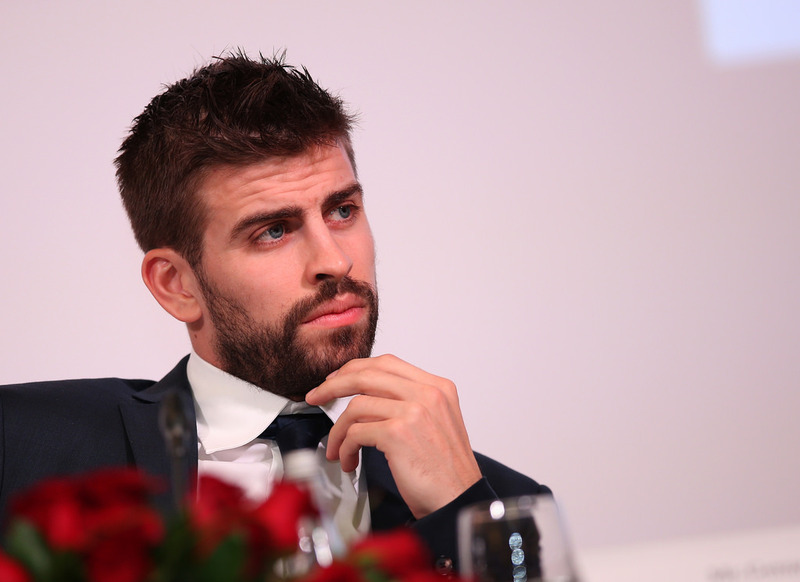 Don Balon reports that Piqué is mulling the move in order to grow his personal brand and live a more peaceful life with his long time girlfriend, Colombian singer Shakira and their children prior to retirement. The report adds that the two teams he’s considering are the LA Galaxy and New York City FC. Pique could be tempted by former teammate David Villa to join NYCFC. Should the move come to fruition, Piqué would be the latest blaugrana to make the jump to MLS, following in the footsteps of his former teammates: Rafael Márquez, Thierry Henry and David Villa. With just over a year to go until Piqué’s self imposed deadline there are still many hurdles for him to overcome before joining MLS. The biggest hurdle is the simple fact that neither the LA Galaxy or NYCFC may even have a Designated Player spot available at that point in the season. It is far too early to speculate on player signings a season away. Second is the fact that teams may not be willing to use a DP spot on a defender, even one who would likely sell tickets. Despite being a defender, Piqué would be an attractive signing for many MLS teams, including expansion sides. Sport reported that David Beckham had offered to bring him to MLS in 2015 when his Miami expansion side launched. He will be 31 years old at the end of the 2018 World Cup and is still a crucial part of the Spanish side. His current contract with Barcelona expires in 2019, so a move to MLS will require either a transfer fee or for Barcelona to release him from his contract. Having won every major trophy there is to win in Europe, which also includes a European Championship and a World Cup win, he would instantly bring name recognition and fan interest to any MLS side. City Football Group has many close links to FC Barcelona including Txiki Begiristain and Ferran Soriano which has played a major role in courting the Catalan side’s players. Xavi told reporters previously that a deal to join NYCFC was almost done and recently Manchester City signed former Barcelona coach Pep Guardiola. Current Barcelona midfielder Andres Iniesta has also been linked to NYCFC. The links between CFG and Barcelona can help sweeten the deal for Piqué who has expressed his interest in working in the front offices of a club. Current NYCFC coach Patrick Vieira rose through the CFG ranks after expressing his interest in a management position after retirement as a player.